(a) IN GENERAL.—The specification shall contain a written description of the invention, and of the manner and process of making and using it, in such full, clear, concise, and exact terms as to enable any person skilled in the art to which it pertains, or with which it is most nearly connected, to make and use the same, and shall set forth the best mode contemplated by the inventor or joint inventor of carrying out the invention. (b) CONCLUSION.—The specification shall conclude with one or more claims particularly pointing out and distinctly claiming the subject matter which the inventor or a joint inventor regards as the invention. 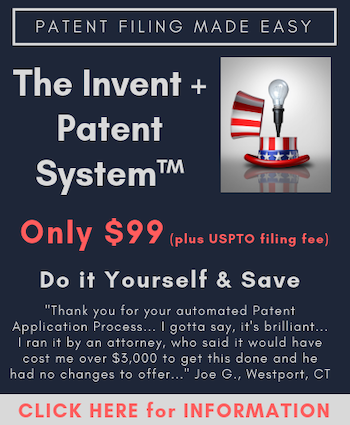 The claims must particularly point out and distinctly define the metes and bounds of the subject matter to be protected by the patent grant. The first of these two § 112(b) requirements is a subjective requirement because it requires the inventor himself to state what he thinks the invention is. The second is an objective requirement because it is not determined by what the inventor regards as the invention, but rather is determined by the standard of whether the scope of the claim is clear to a hypothetical person possessing the ordinary level of skill in the pertinent art. See MPEP 2171. In this article, we will explore both § 112(a) and § 112(b) rejections by taking a look at where they are most common, how applicants respond to them, and how successful those responses tend to be. Nothing herein should be interpreted as advice as to how a particular patent applicant should or should not respond to a § 112(a) or (b) rejection. It is instead an overview of the statistical trends surrounding these rejections and a general analysis of the most effective procedural means to overcome them. In most technology sectors at the USPTO, rejections based on § 112(b) are usually the third most common rejection basis after § 103 and § 102, with § 112(a) rejections usually competing with § 101 for fourth place. See Figure 1 for the percentage of each rejection basis according to how frequently it is issued across the USPTO at large. As shown in Figure 1, § 112(b) rejections take third place for frequency of issuance across the entire USPTO, while § 112(a) rejections come in fourth. This has not always been the case, however. See Figure 2 for an analysis of how often § 112(a) and (b) rejections were issued over the ten-year period from 2005 to 2014. As shown in Figure 2, § 112(a) and (b) rejections were issued at nearly equal rates in 2005, but quickly diverged from each other. Starting in about 2008, both rejection bases increased their percentage of issuance dramatically. However, starting in 2009, § 112(b) rejections continued to make up an ever larger percentage of final rejections issued, while § 122(a) rejections have largely held constant or even decreased slightly during that time. Even though § 112(b) rejections have been increasing since 2009 while § 112(a) rejections have been holding steady, there is still a significant overlap in technology sectors where they are found most often. See Figures 3 and 4 for a breakdown of art unit groups where § 112 rejections are issued the most frequently. One technology center in particular stands out here–TC 1600, which handles biochemistry and organic chemistry applications. In fact, there is no art unit group in the top 10 for either rejection basis that is outside of TC 1600, 1700, or 3600. For a rundown of the exact types of technologies that can be found in these art unit groups, see Figures 5 and 6. When it comes to responding to § 112 rejections, we noticed at least one trend that was very similar to other rejections bases we have studied: RCEs are by far the most popular rejection response for both § 112(a) and (b) rejections. While interviews are usually the least common response to an examiner rejection, they are actually the second least common response here, at 11.4% and 10.8% for § 112(a) and (b) rejections, respectively. The least common single response to these rejections was appeals, while nearly one-fifth of applicants abandoned their applications after receiving one. For exact figures on the frequency of each type of response in the context of § 112 rejections, see Figure 7. When looking at how successful these responses were at overcoming § 112 rejections, we noticed a marked departure from the trends that we observed in our other rejection studies. Normally, RCEs are the least successful responses to any rejection basis, while interviews are the most successful. Here, interviews are still the most successful single response to a § 112 rejection, but RCEs are not as comparatively unsuccessful as with other rejections. Moreover, there is much less variation among the success rates of each type of response than we have observed elsewhere. thus avoiding some of the more dramatically lopsided success rates. See Figure 8 for the success rates for all types of responses. (Note: For the purposes of this study, a rejection is “successful” if the next office action is either a Notice of Allowance or another rejection that does not cite the same rejection basis as the previous office action. For example, assume that an applicant receives a final rejection that cites §§ 101 and 103, she responds with an RCE, and the next rejection only cites § 103. We assume that the RCE was successful at overcoming the §101 rejection, since it was not raised again in the subsequent rejection. We also narrowed the data to instances where the response highlighted was the only response to the rejection in order to measure the effectiveness of each of the responses on their own, unaffected by other responses that could be influencing the outcome). It turns out that applicants are handling § 112 rejections more or less the way we would expect them to based upon the data. They are still filing a disproportionately large number of RCEs relative to the other response types, but those RCEs tend to be more successful than they are elsewhere. This suggests applicants are avoiding some of the more dramatically lopsided ratios between the frequency of an RCE response and its chance of success like we have witnessed, for example, with § 103 rejections. Because there is not a dramatic difference in the success rates between the different types of applicant responses to § 112 rejections, the decision of which to choose primarily should be determined by the time and money it will involve rather than its chance of success. James Cosgrove is a Legal Analyst at Juristat, a legal tech company that develops predictive models of the behavior of judges, patent examiners, attorneys, and other entities. He is a 2014 graduate of St. Louis University School of Law. A member of Juristat’s marketing team, he has written extensively about big data in the law, including Juristat’s first white paper on the effectiveness of data in patent prosecution and an e-book charting the effects of the Alice decision on the USPTO. There are currently No Comments comments.